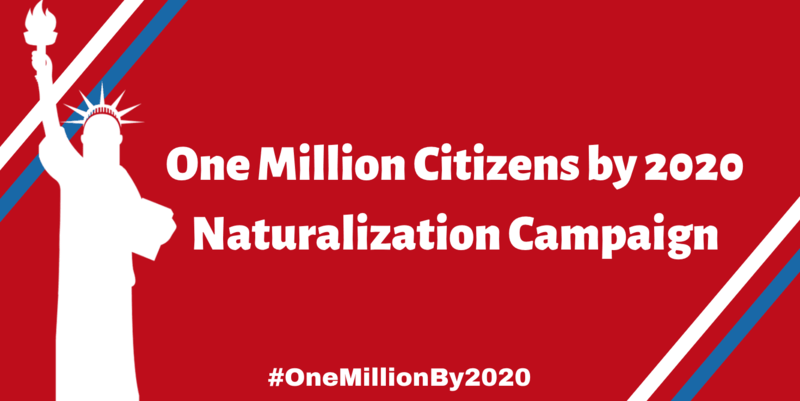 “One Million Citizens by 2020,’ is a nationwide effort to encourage new Americans who are eligible to naturalize and to do so now before time runs out to vote in 2020. Processing times for citizens applications have doubled to average over a year nationwide with delays of over 30 months in some USCIS offices, according to a new NPNA report released today. 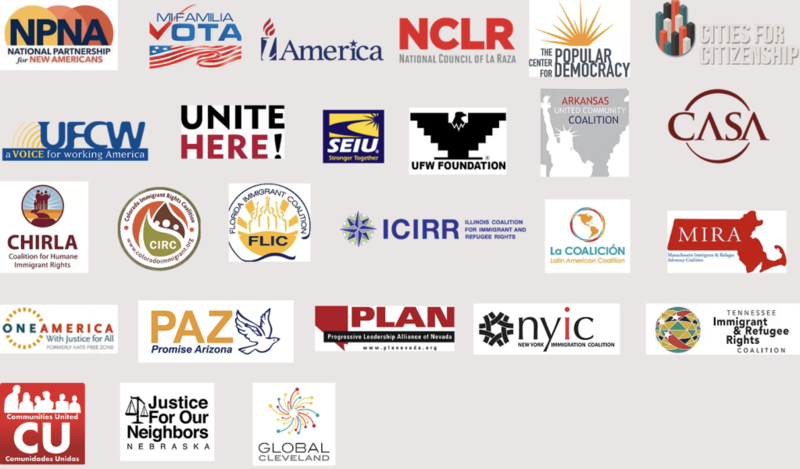 Processing delays are so long in some regions that eligible immigrants who have already applied risk not being processed, naturalized, and then having the ability to register to vote in time for the Presidential election of 2020. This risk already exists in Miami, FL; Atlanta, GA; Houston, TX; Fort Myers, FL; Fort Smith, AR; Dallas, TX; Memphis, TN; Minneapolis-St. Paul, MN; Montgomery, AL; Newark, NJ; New Orleans, LA; New York City, NY; Oakland Park, FL; Orlando, FL; Philadelphia, PA; Queens, NY; Reno, NV; and Washington, D.C., and will arise in other regions as the year progresses. We will conduct education and outreach and launch a record number of citizenship clinics encouraging lawful permanent residents (LPRs) who qualify to apply now in order for the applications to move through the sluggish bureaucratic process. This effort will take every one of us who believe in the right of New Americans to receive equal and fair treatment from USCIS and for new citizens to exercise their right to vote. We must stand strong against the Second Wall that wants to keep eligible immigrants from fully participating in this nation’s democracy. Please echo our message using our social media toolkit with suggested posts. Did you know? There is a Full Fee Waiver (I-912) that covers the entire $725 application fee if annual houseful income is under 150% of the Federal Poverty Guidelines (FPG) AND a Partial Fee Waiver (I-942) that covers $320 of the application fee if annual household income is between 150-200% of the Federal Poverty Guidelines (FPG). Will you participate? If so, please add your naturalization event HERE. Additional Information: If you think you may be eligible to apply for citizenship, call our office at 617-694-5949 to complete a brief screening and be scheduled for one of our upcoming workshops! Time: 9:30 AM - 12:30 PM - No Appointment Needed!